Bill and I went on a mini trip this past week. On Monday and Tuesday we were in Shipshewana, IN. 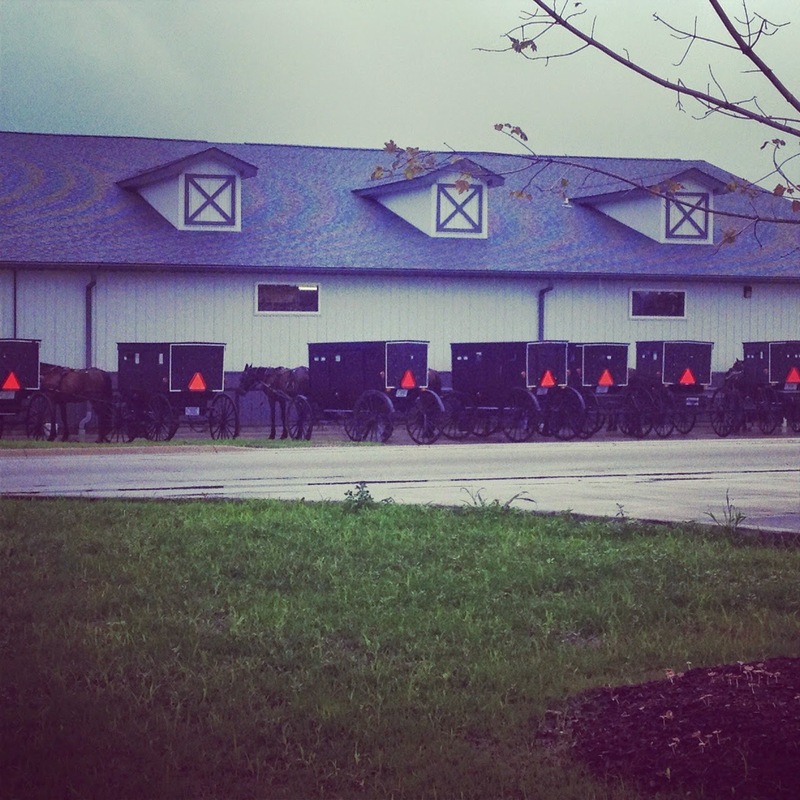 It is an Amish community like Berlin is in OH. We had a good time but I do not think we will go back. It did not seem a lot different than what we can see right here in OH. Everything in Shipshewana also seemed to be higher priced. 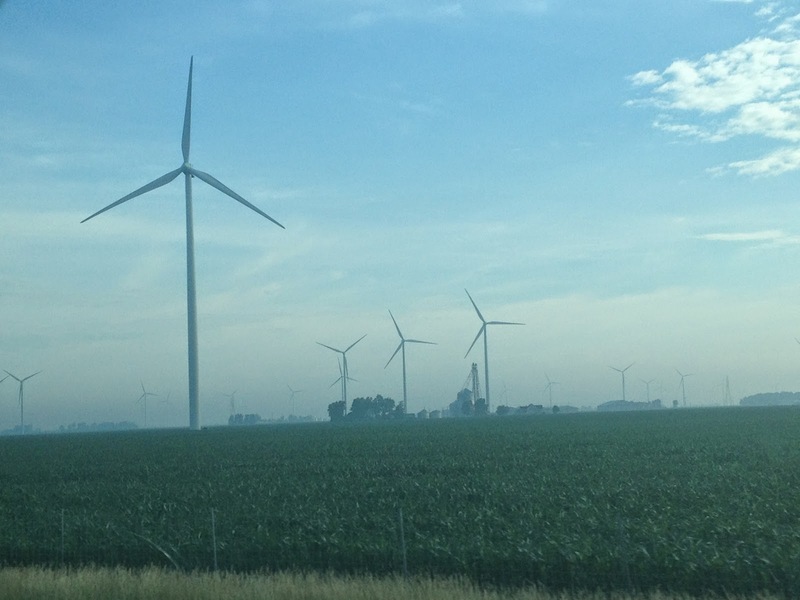 On our way out of OH in Van Wert we saw this awesome Wind Turbine Farm. I am not sure how many turbines there were but it seemed like 500+. It went for about 15 miles along the highway. On our way home we stopped and went down one of the roads were the turbines were. We got out of the car to see if we could hear it. It made a noise like an airplane. I did not think it was too bad but Bill said he wondered if after awhile living there if the sound would get on his nerves. I took this picture on Tuesday morning. This was a grocery store. Lots of Amish were out and about doing some shopping on Tuesday morning. 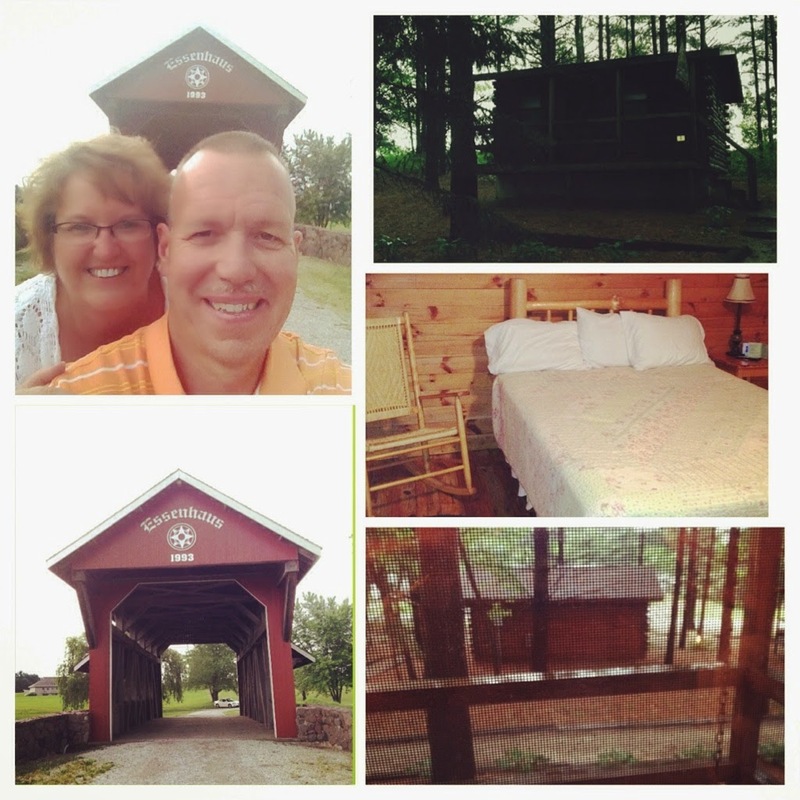 We saw a covered bridge in Middlebury and we stayed in a Cabin in Shipshewana. The cabin was really small but was nice. It also had a porch swing which we would have liked to try out but it was pouring down rain by the time we arrived at the cabin. It was neat though to hear the rain hitting the roof while we were sleeping. Well it is back to the grind stone for me. I had the whole week off but it's back to a normal work week tomorrow. I bought a couple of zucchini's from Crown Market where Cally works. 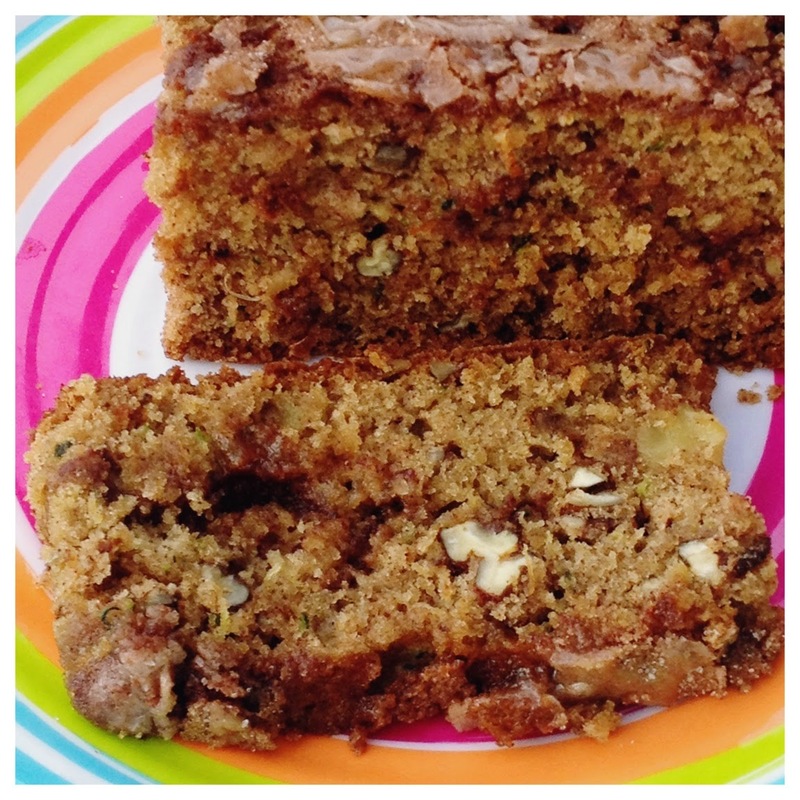 I had been wanting to try zucchini bread with pineapple in it. This bread is super moist and really good. You can not really see the cinnamon swirl going through the middle but you sure can taste it. Spread a little butter on your bread and it is heavenly! 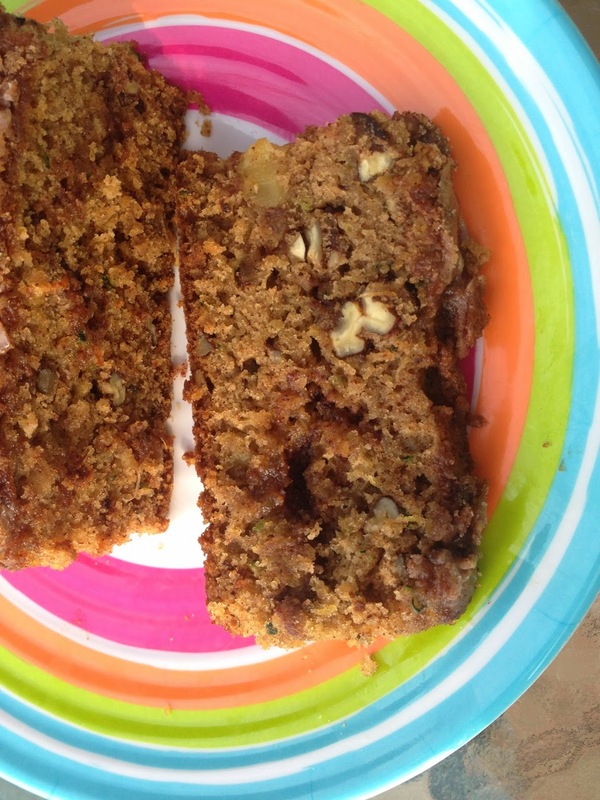 I've adapted my recipe from the Pillsbury's Pineapple Zucchini Bread. I added the Cinnamon swirl and cinnamon sugar on top of the bread.